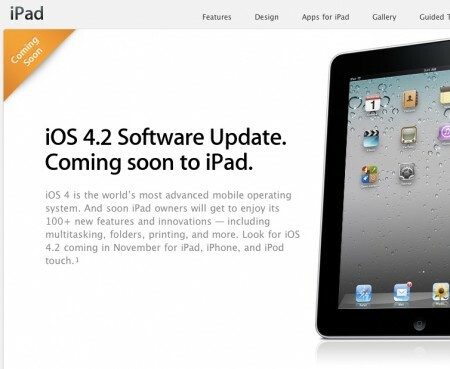 Apple describes some of the 100+ new features in iOS 4.2 for iPad, iPhone, and iPod touch. iOS 4.2 software update is a release to bring the same software features to all iOS devices, including the iPad, iPhone, and iPod touch. AirPlay streaming of videos, music, photos from iPad to new Apple TV. Also streams music to AirPlay speakers or receivers including AirPort Express. Don’t get too excited yet. Although it’s described as “coming soon,” the November 2010 iOS 4.2 software release date is still 8 to 12 weeks away. This entry was posted on Friday, September 3rd, 2010 at 12:27 pm	and is filed under iPad, iPhone. You can follow any responses to this entry through the RSS 2.0 feed. Acutally, HDR photo abilities will really make this a very interesting update indeed! 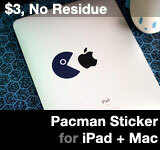 It also hints at an upcoming iPad with camera, so this should be doubly a cool update! Don’t think there will be an iPad with camera anytime soon… Not this year at least.